This has been one heck of a Winter, hasn't it? we were looking at a temperature of -12 degrees. Factor in the wind chill & it felt like -23 degrees. We've been using our fireplace more than ever. especially at night while relaxing & watching TV. I went with gray & white for my Winter decor. Such a change after the bright colors of Christmas! except for the wreath, that's new. thought it was perfect for Winter. 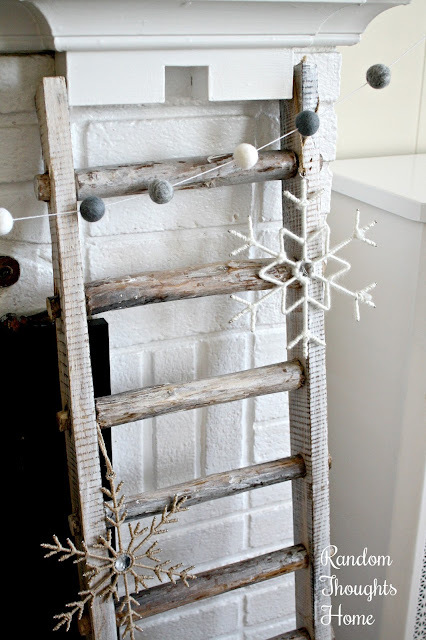 My ladder from Decor Steals. 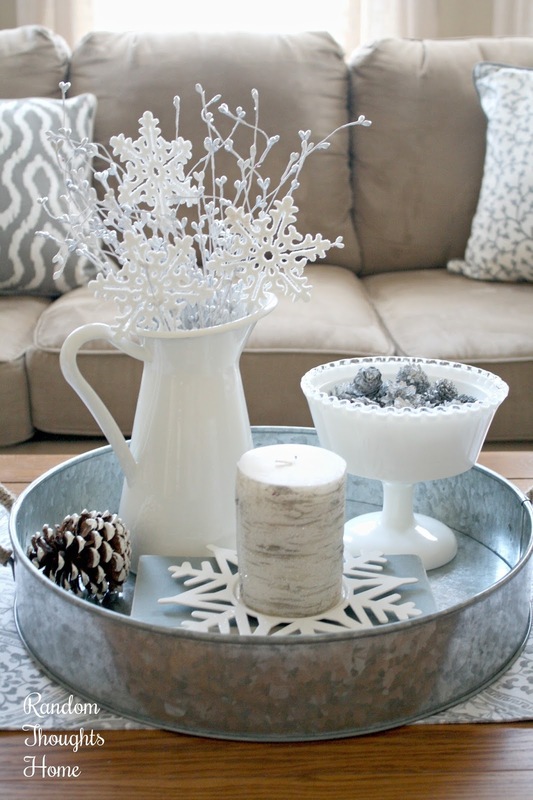 A little Winter for the coffee table. I think it started snowing the second I put it up! 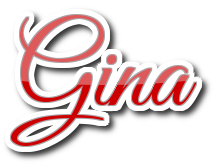 I love it, Gina. Your mantel is darling. I see you found some snow chicks from Target, too. Aren't they darling? So cute Gina! 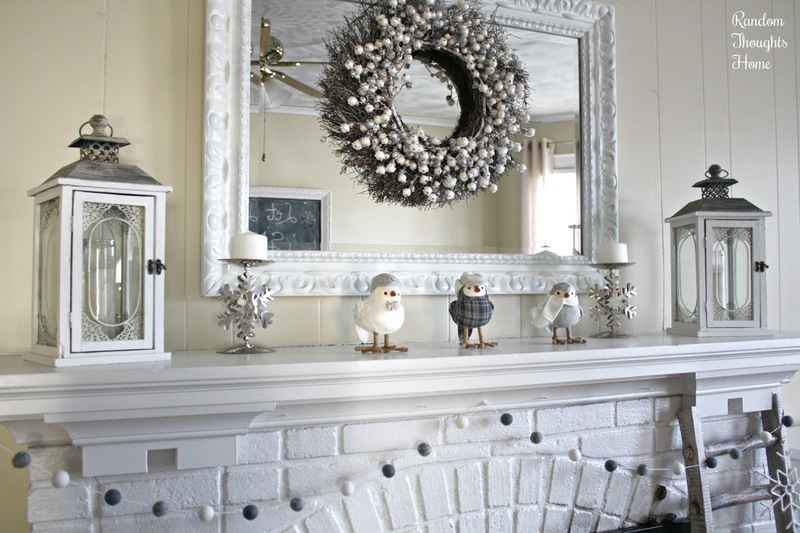 Love the wreath and the little birds. I got a mini version of a couple of those. Your coffee table vignette is too cute and the llet it snow picture is adorable. We’ve gotten a total of 62” of snow already and it’s only early January! I love your coffee table decor.. Stay warm dear..
fact quite a collection of them. it has been C. O. L. D!!! 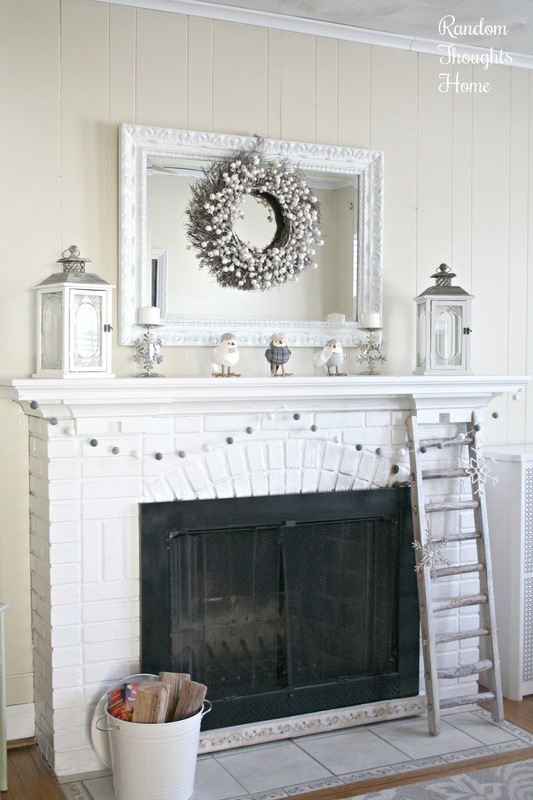 Gina, your fireplace looks so cute! Love the new wreath and the added birdies. Funny about your sign and then it started to snow. Do enjoy your cozy fire and stay warm. It has been cold. 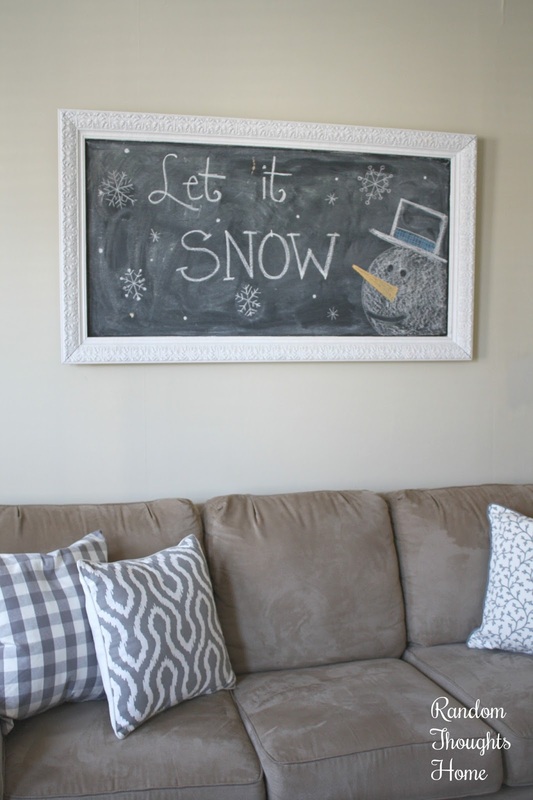 I love your wintry decor! Your fireplace always looks cute, Gina. Wow that's some cold temperatures! Our windchill was below zero this morning which is crazy cold for Alabama. I adore your Winter decor! Wish I could send you some of our 75 degree weather!